"The best design solution, I find, starts and ends with the customer," Piersa Cvetkovski of Wild Horses Run Free relayed in our interview below, "Their needs and wants, their likes and dislikes. I’m more about solutions than resolutions, after all, the solutions – they’re what count." With this in mind, you could say that Piersa is providing a solution for contemporary shoppers everywhere with her brand's focused approach to design in the accessories category. Enter both hats and scarves - two pieces that are making Wild Horses Run Free a go-to for those in the market for long-lasting, durable and carefully crafted pieces that are the perfect finishing piece for any look. Though aside from great design, Piersa's laser sharp dedication and consideration for her customer community is something that resonated with us here at Brand Assembly. So to learn more we visited the designer in between one of her classes (she currently teaches Photoshop at The New School) to learn more about what she hopes to assemble daily. 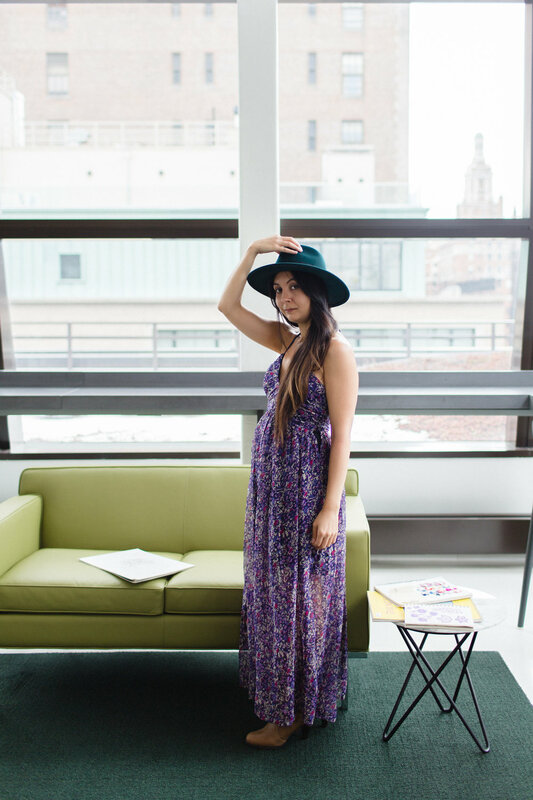 Read on for more from our afternoon and visit The Style Line for a second part of this story. I am someone that enjoys traveling, photography, and learning new things. As a woman, I place a big value on my freedom, education, and the ability to make choices for myself. There are women all over the world that don't enjoy the freedoms we often take for granted in the U.S. I am lucky. Tell us more about the differentiation in your design process when it comes to hats and scarves. What excites you the most about designing each of these items? First off, you must think about the product’s end use and durability. How and where will the customer use the accessory? I always enjoy imagining the wearer on some kind of grand adventure. When designing scarves, the shape remains pretty consistent. The design focus is on color, print, and material. When designing hats, the focus is on shape, color, and trim. What will help enhance the customer’s features, and what’s relevant/on trend? What advice would you have for your contemporaries in the accessories space who are looking to hone in on their craft and provide for the modern shopper? Love what you do, and do your research! Walk us through your day-in-the-life. What are you mostly focused on and what are some challenges or things you don’t necessarily like that you’re hoping to overcome this year? Do you have any design related resolutions? Determining the most effective way to connect with and introduce people to our company, especially in a world full of new and established designers, as you’d imagine, presents its fair share of challenges. As a small business owner, promoting brand awareness is always at the top of my to-do list. The best design solution, I find, starts and ends with the customer. Their needs and wants, their likes and dislikes. I’m more about solutions than resolutions, after all, the solutions – they’re what count. How has being part of the Brand Assembly community furthered Wild Horses Run Free and how do you plan to leverage your involvement on a local level? The Brand Assembly team has treated me like family. Everyone at Brand Assembly has been very supportive and encouraging. That helps a lot. I attend trade shows as often as I can, in addition to local events that allow me to meet the customer directly. Hearing their feedback and learning their stories – that’s where I gain my inspiration.